The Westminster Presbyterian Church, located at 103 E. Midland Street, has been an established structure in Bay City since 1882. This church resides in Bay Cityís Midland Street Historic District. There have been several additions or renovations to their building including the 1958 Fellowship Hall addition, pictured, 1965 classroom addition on their second floor, and a new sanctuary to accommodate their members in 1969. 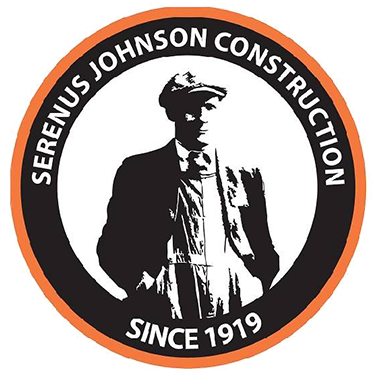 In October 2016, Serenus Johnson began renovations on site at the approximately 30,000 square foot church, Westminster Presbyterian. The project will include an, almost, complete renovation which will include new flooring, ceilings, pew re-upholstery, removal of their existing roof and installation of a new roof. New organ equipment enclosures in the sanctuary, with stained oak trim to match their existing finishes and organ are exciting things to look forward to in this renovation. The electrical main distribution panel replacement required coordination of a complete electric building shut down for two days during construction. There will also be new mechanical temperature controls and LED lighting for better energy efficiency. This $1,400,000 project is scheduled for completion in May 2017. Upon completion, the church will serve as a benefit to the church body, employees, community and other activities that are sponsored by the church such as Vacation Bible School, the food pantry, knitting group and the Good Samaritan Rescue Mission.